With ambitious construction goals for Qatar 2030 National Vision, Arcadis needed a streamlined workflow: Site Scan powered by Pix4Dengine. 3DR is in the business of helping AEC industry customers reach their goals. The 3DR Site Scan platform uses Pix4Dengine to turn drone images into detailed maps and models and make site survey workflows more streamlined and efficient. Site Scan is a customer-driven product and the 3DR team frequently visits customers on-site to listen to their pain points and respond to their needs. Many customers needed denser point clouds and better orthomosaics. Another major request is to process large numbers of photos much faster. Last but not least, 3DR’s global customer base demands stable and reliable solutions they can count on day and night across the world. 3DR implemented Pix4Dengine and got it working very quickly. With Pix4Dengine, customers can access most Pix4Dmapper desktop features via a scripting code. For example, 3DR clients use all sorts of cameras and wildly varying numbers of photos, so they need the flexibility which comes with a large selection of settings. DTM generation and point cloud classification was also a huge win for 3DR and their customers. Last fall, 3DR launched support for ground control points and uses Pix4D to process and geo-correct with them. Another much-used feature is the automatic cropping of areas of interest for further analysis. “For example, I find the elevation model helpful for understanding drainage and runoff areas,” said Paul Kawuma, Innovation and Infrastructure BIM Manager at Arcadis. The limits of photo processing increased from 500 to 2,500 images, which is huge for their customers. 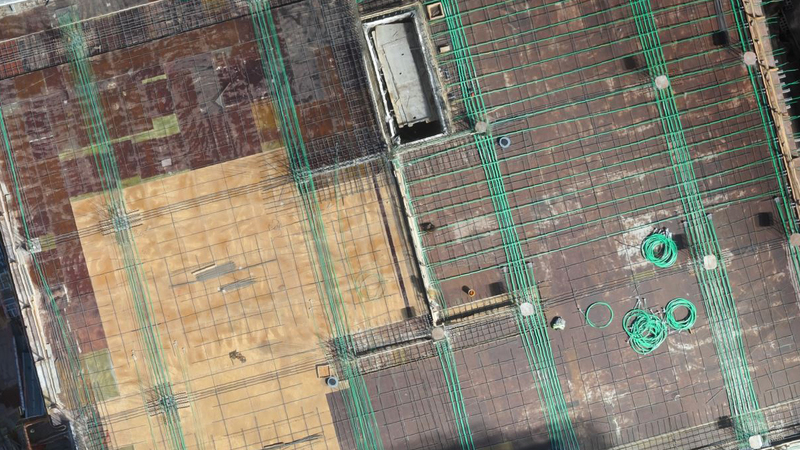 Before using Pix4D, a typical construction site with an average of 200 photos took 6-8 hours to process. After Site Scan launched Pix4D processing, the same can be processed in less than an hour: in other words, three times faster. Customers need a reliable solution regardless of where they are in the world, 24/7. Pix4D has offices in Lausanne, San Francisco, Shanghai, Berlin and Madrid. We also offer support in English, Spanish, Chinese, Italian, French, German and other languages. This global coverage ensures customers questions are addressed in a timely and responsive manner. “After moving to Pix4D in July 2017 we were thrilled to see dramatic improvements in processing time and quality of our orthomosaics and point clouds. Pix4D’s support team was very helpful and responsive. They worked closely with us to troubleshoot and develop the product. Pix4Dengine has supercharged Site Scan. 3DR’s product philosophy is to build measurable solutions from the customer’s point of view. Their customer success team was a driving force behind the choice of Pix4D, as many team members are former software and surveying engineers themselves. When customers heard their project is processed by Pix4D, many commented it means the gold standard with the highest quality outputs. Since 2017, Arcadis has had the opportunity to put drones to work on a project of a massive scale: Contract 2 of the Orbital Highway in the city of Doha, a 14-lane road with five vehicle lanes and two dedicated truck lanes going in each direction. The Orbital spans 46 kilometers in total, and has recently opened to the public, helping reduce congestion and improve travels times. Arcadis was the lead designer of the Orbital, but their emerging drone operations presented a new business opportunity for this project. Their client, Qatari Diar Vinci Construction (QDVC, a joint venture company between Qatari Diar and Vinci Construction Grands Projets), wanted fast, accurate volumetric calculations for the earthwork spread throughout the entire roadway. With certified drone operators and a fleet of Site Scan units, Arcadis started work by setting ground control points in order to improve accuracy of their end deliverables. They flew automated nadir surveys with the drone, uploaded the photos to Site Scan Manager, then entered, tagged, and processed the ground control points on the cloud. Cloud-based GCP processing, powered by Pix4D, is far simpler and more efficient than alternative GCP workflows. In total, the Arcadis team created 34 unique orthomosaics using Pix4Dengine processing capabilities. They then exported their drone data as LAS and TIFF files, and used them in Civil 3D for volumetric calculations. To perform a topographic survey of their test site with a drone, it only took the Arcadis team approximately 20 minutes in the field. Given that it would take 3-4 hours to perform a traditional survey of the same site, Arcadis proved it can cover the same area approximately 10 times faster with a drone. They were able to maintain this level of productivity throughout the entire Orbital project. By speeding up their surveying workflow, Arcadis was able to deliver their volume calculations much faster than usual, helping their client keep the Orbital Highway project on schedule. Setting ground control points and processing them in the Site Scan cloud had a significant impact on absolute accuracy: it helped Arcadis georeference their orthomosaics and ensure they reflected reality as closely as possible, thanks to Pix4D’s best-in-class accuracy. Arcadis set ground control points throughout the highway, and processed them on the cloud in Site Scan to increase the absolute accuracy of their deliverables.